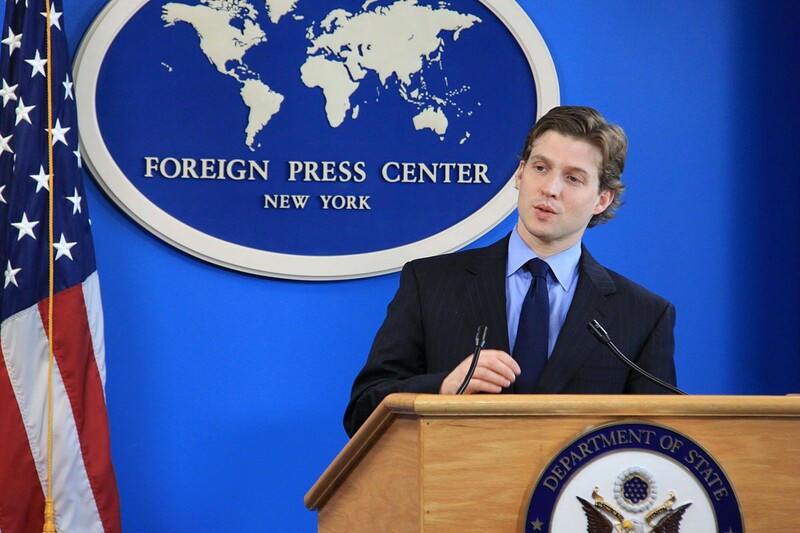 Alec Ross is one of the most innovative thinkers in tech — both in how it affects our lives and the global economy. He first rose to prominence working on Barack Obama’s 2008 campaign before Hillary Clinton recruited him for the state department. He is now running tech and innovation policy for Clinton’s presidential campaign. While Ross was working as Senior Advisor for Innovation to the Secretary of State, he traveled to forty-one countries, exploring the latest advances coming out of every continent. From startup hubs in Kenya to R&D labs in South Korea, Ross has seen what the future holds. He channeled the experience into what would become his New York Times Bestseller: The Industries of the Future. He starts the book in typically memorable style with the sentence: ‘It’s three o’clock in the morning and I’m mopping up whisky-smelling puke after a country music concert in Charleston, West Virginia’. A true original, Ross came to Second Home to be interviewed by the political editor of The Spectator about Donald Trump’s rise, the evolution of Sub-Sahara as a tech investment hub, and why he think that the next trillion dollar industry will be based on genetic code. 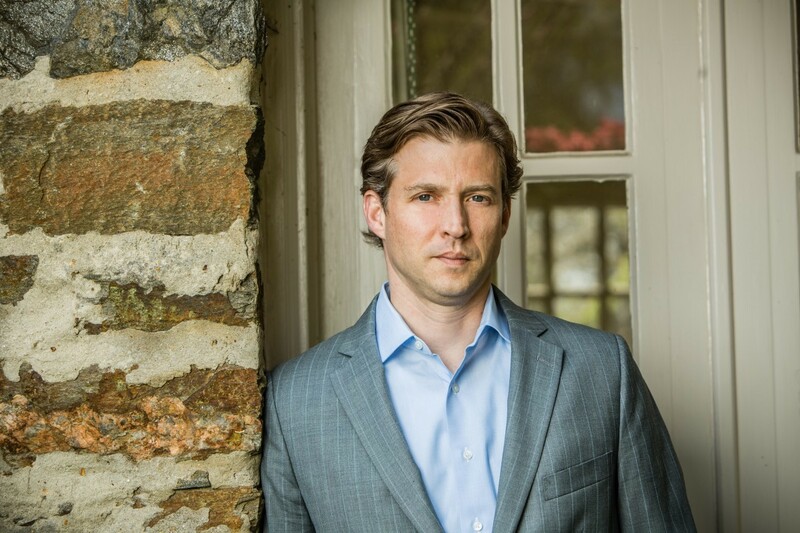 Alec Ross: For those of you who are looking with absolute wonder at the American presidential election, and wondering how a demented, vulgar fascist like Donald Trump is the Republican nominee for president, it actually has its roots in the last 20 years of globalisation and innovation, where I think there’s a very significant number of people — the likes of whom I grew up with in West Virginia — who feel a high level of anxiety. What Donald Trump, and Bernie Sanders, too, have done is they’ve each given somebody to blame for their anxiety. In the case of Bernie Sanders, he’s saying, ‘Blame the 1%, blame Wall Street’, and in the case of Donald Trump, he’s saying, ‘Blame brown people, blame people who are robust consumers of government services like those who you’re not helping subsidise on Obamacare’. And so what’s interesting is in both of their cases they’re both harkening political ideologies of the 1930s — Donald Trump reinvoking fascism, and Bernie Sanders reinvoking a form of socialism. So I think that it’s really interesting to see how each of them, in their own way, are using the anxiety that people feel about a world that is changing quite rapidly and then projecting that into the context of our presidential election. The market value of testosterone has never been lower than it is today. What do you do for the classic, left-behind 55-year-old former industrial workers? Is there an answer from technology, or is this simply a period of transition? 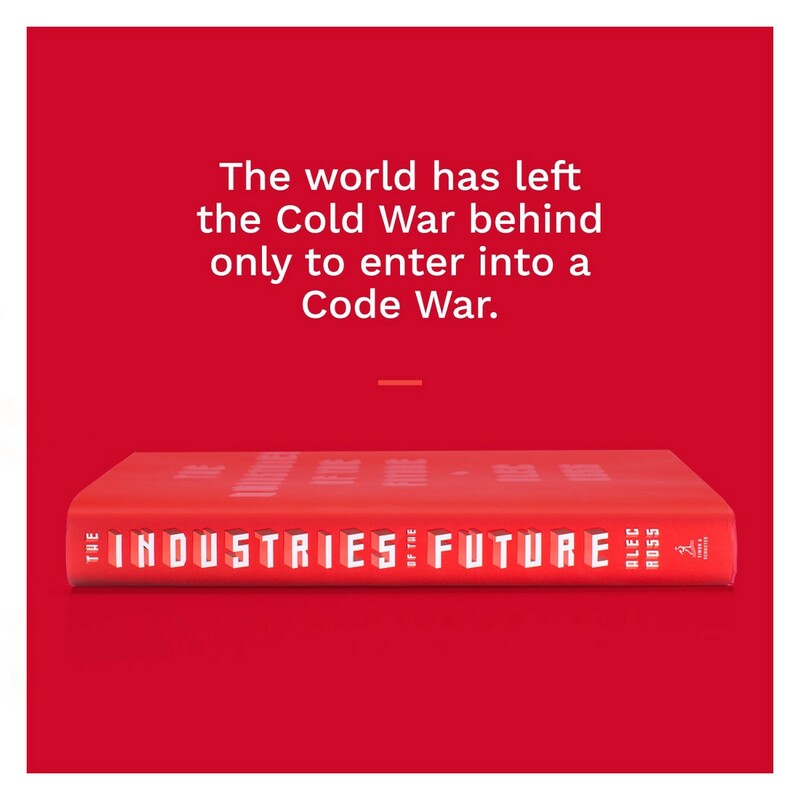 The Industries of the Future is a mostly optimistic book, it’s neither utopian or dystopian. It would be intellectually dishonest to say, ‘Yes, there are a series of answers for marginally employed or under-employed men from the working class who are 58/60/62 years old, and here’s the technological fix for them’ — there isn’t one. 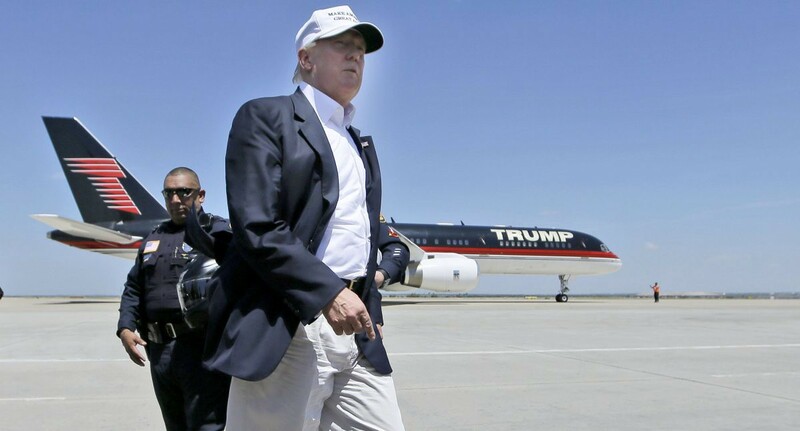 To go back to Donald Trump again, the testosterone that he has on the presidential stump, and the bravado, and the wife who’s a model, and the private jet, and the political incorrectness, is everything that these 62-year-old men, when they close their eyes, want and admire. So I think to understand the origins of his support, you have to get inside the psychology of the mind of that 58/60/62-year-old for whom neither I nor anybody else say, ‘Oh yes, there’s an app for that’, ‘There’s an app for your disenfranchisement’. Humans are much more difficult to upgrade than software, to the extent that we are moving into a world that’s increasingly driven by labour displacement that is going to run up from the blue-collar workers to the white-collar workers. If you’re going to be cold-blooded about where you’re going to invest from the public sector, it’s going to be much more likely in five- or 15-year-olds than 55- or 60-year-olds. You say that there’s never been a better time in human history to be born in sub-Saharan Africa than there is today. Can you unpack that a little? I think if you were to index on a continent-by-continent basis where there would be the highest increase in per capita GDPs, I think it would be in sub-Saharan Africa. I think it’s because connectivity has taken once very isolated communities and people who are disconnected from global markets, and have connected them to global markets. 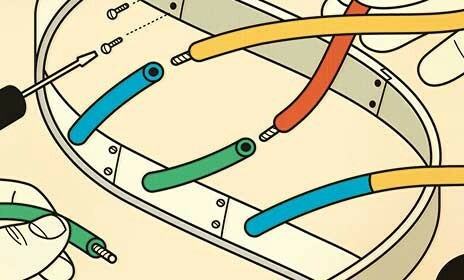 Now that we have the benefit of a handful of years of connectivity, what we are beginning to see is what I believe is the beginning of the development of genius that has been buried for quite a long time. I’ve seen some fantastic examples of entrepreneurship, of talent development that’s taking place there that makes me really very optimistic about a part of the world that there hadn’t been optimism for decades. Is that new industries coming, or is that entrepreneurship, or is that just the greater economic growth that comes from more connectivity? I think a couple of things are happening. The most important thing is human capital development. 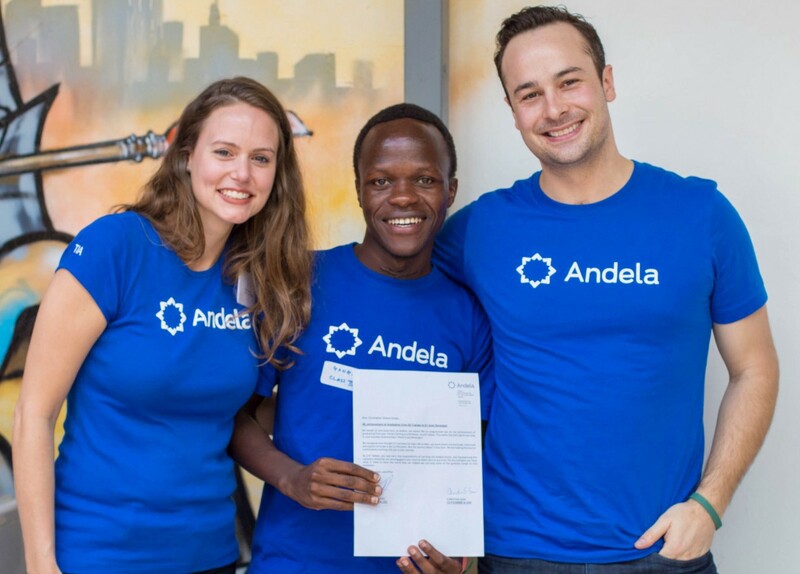 Let me point to a start-up that I think is one of the most important start-ups of the world, Andela, and they had a thesis. It was founded by a guy who’s now 31 years old I think. His thesis was [that] in places with very high density — like Nairobi, Kenya and Lagos, Nigeria — if you put the most talented people in these areas that have very high populations, through the most rigorous possible boot camp — six weeks of absolute coding misery — that they would come out of it as a Google-quality programmer. They’ve tested the thesis and it’s basically proven true. What this means is that the 17-year-old who might have been making $6/7,000 a year, sort of the smart guy in the neighbourhood who could fix everybody’s computer, suddenly has a market value of $200,000 and doesn’t have to get on a plane and fly to London or San Francisco, but can actually work from Lagos. Using digital markets, can suddenly monetise the value of that human capital. So what I’m seeing, what Andela’s seeing and what others are seeing is that this is true at scale. This isn’t just sort of a cute story, but rather talent is universally distributed, opportunity isn’t. But what connectivity’s done and what investment capital is now doing, is it is taking a huge part of the world and it is developing the human capital, which in turn is leading to some interesting early examples of entrepreneurship, which I think will be more interesting and more consequential in five years. So in a decade’s time you think sub-Saharan Africa [will] join India and China as the examples of huge numbers of people being lifted out of poverty? Yes, so one of the great stories of the last 25 years of globalisation is the nearly one billion people who have moved from poverty to the working and middle classes from India and China. Sub-Saharan Africa is what’s next in this story. In the same way, for those of you who are entrepreneurs, investors, who are at a stage in your career where you’re thinking about where you can make your mark, in the same way in which people really got engaged in China, say, 15 years ago, to get engaged now in much of sub-Saharan Africa, I think it’s that moment in time where if you want to you can be a part of a terrific growth story. It’ll have its ups and downs, it’ll feel at times like a rollercoaster, but it will end, up. So I do think that one piece of advice that I give to people at their early/middle parts of their career when they’re saying, ‘What should I do and where should I go for the next 20 years?’, a lot of what I will point to is sub-Saharan Africa. Another aspect of the book is about life sciences, is about how the possibility is coming in the near future of being able to work with genetic code to cure diseases that we’ve regarded as incurable for so long. How do you think that plays out economically? The world’s last trillion-dollar industry was created out of computer code. The world’s next trillion-dollar industry is going to be created out of genetic code. We are now about 15 years past the mapping of the human genome. 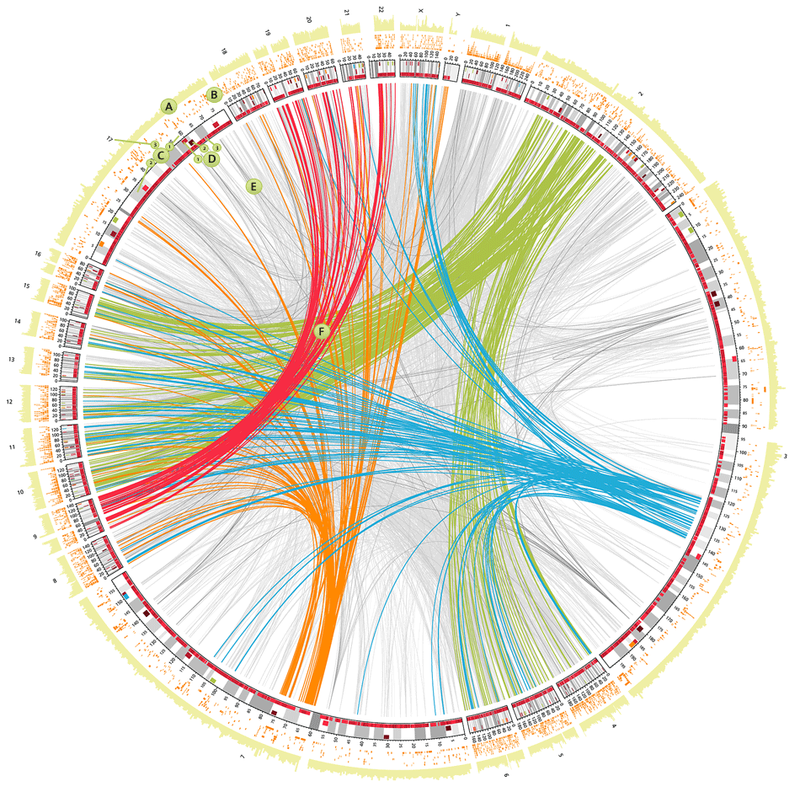 Mapping the first human genome cost $2.7bn, now it costs about $2,000. We’re finally, after a decade or more of hope, at the point where we can begin to develop personally. At my gym in Baltimore there’s this guy who I thought was a gym rat — crazy grey hair, bushy grey beard — and [he] comes to the gym, wears a knee brace on the outside of his 1970s style grey sweatpants. Brings his racquetball gear to the court in a dingy, old Samsonite suitcase. Turns out he is the world’s most cited living scientist. It was his team at John Hopkins’ in the 1980s that determined how mutations in proteins caused cancer. What his team of 60 of the world’s best scientists have figured out, is that by taking a blood test — the likes of which you all probably take at your annual check-up with your doctor — they can detect cancerous cells at 1/100th of the size of what can be detected in an MRI. What that means is that cancers that are routinely found in stages three or four, they can detect very, very early in stage one when it is quite curable. So I don’t think we’re going to be able to check the box and say, ‘We’ve cured cancer’, but what I do think is that forms of cancer that kill lots and lots of people are going to kill far, far fewer people. 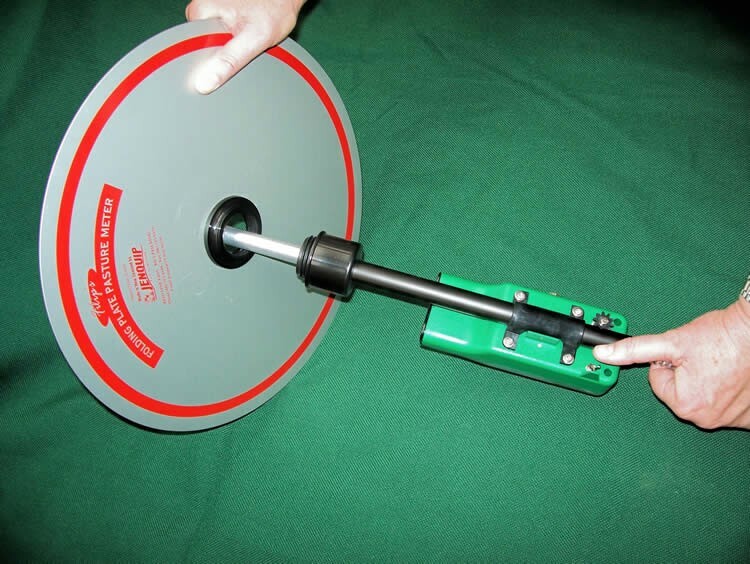 What is the test called? This test is called the liquid biopsy — every billionaire gets a liquid biopsy at his annual check-up, and the reason is because it costs about $4/5,000 right now. For a billionaire who goes to a special clinic for their annual super special check-up and they don’t care how much it costs, they routinely get a liquid biopsy. What’s going to happen is the cost for this is going to go down steadily, but it’s going to take a period of years. The promise of things like the commercialisation of genomics is going to take another decade to play out. What we’re going to see is access to this kind of diagnostics and the kind of healthcare that comes with personalised medicine, is going to skew overwhelmingly to the wealthy first and then to the upper-middle classes before it’s integrated into things like National Healthcare Services and the developing world. I do think that the economics of healthcare are so tricky, and in the United States for example, we’re up to 18% of our GDP on healthcare. I think in the UK you’re constantly scrutinising the finances of your National Health Service. So when you talk about adding something with significantly more cost, it’s going to be hard for systems to absorb such a thing. So I do think this is going to be something that doesn’t accelerate as quickly as, say, the adoption of everybody having a smartphone. Could you explain in layman’s terms what big data is going to do? Land was the raw material of the agricultural age, iron was the raw material of the industrial age, and data’s the raw material of the information age. He who owned the land, controlled the land during the agricultural age, had the economic power. He who owned the factories and controlled access to the natural resources during the industrial age had the economic power. He or she who own the data, control the data, or can interpret the data in today and tomorrow’s economy, are going to be those that build the most powerful businesses of the future. What data has done, in essence, is reform business models that are rooted in part in persuasion and decision making. So we go to Google to get access to information that we want more quickly, or in the business I was in we would use data to help persuade people to vote for somebody. If you’re in advertising, you use data to figure out how to more convincingly sell somebody something. What I think that the Pacific Ocean-worth of data that we’re creating is going to do next, is it’s going to reform industries that we think of not necessarily in digital-first terms — like agriculture. So we live in a world today of 7.2 billion people, that’s quickly becoming a world of 9 billion people. The way we’re going to feed people in a world where water is becoming an ever-scarcer resource, where we obviously aren’t producing anymore land, but where we will have 1.8 billion additional people, is the integration of analytics into farming so that we can draw more out of our land than we did previously. How have you seen that implemented so far? When I was in the north island of New Zealand it was explained to me by the dairy and cattle farmers there. They basically said, ‘There are about five cows here for every human being, and we, the good cattle and dairy farmers of New Zealand, saw the rise of the middle class in China and we wanted to be able to export our dairy and beef to them. ‘But it costs too much. So we’ve been practising our farming methods pretty consistently for 150 or so years, but we realised that we needed to change something in order to be able to make our product exportable to China’. So what they did was they created this thing called pasture meter — which basically leverages GPS and laser technologies that takes up to 18,500 measurements of the fields in which these herds of thousands of cattle graze. So instead of just saying, ‘Oh, it’s Tuesday, I better fertilise the field’, or, ‘It’s Wednesday, I better turn the hoses on and irrigate the fields’, what they were getting is remarkably precise information on a nearly foot-by-foot basis, saying, ‘This is exactly where you need to put fertiliser, this is the very precise phosphorus/nitrogen mix that needs to have, this is precisely where you need to put feed, this is precisely where you need to put water’. That might seem banal, it might seem inconsequential, but what it enabled, the creation of this tool, was a 500% increase of beef and dairy exports from New Zealand to China. So being able to bring really rigorous analytics to old fields like agriculture, I think, is the real promise of big data. Any ideas about growth and development and about how this could be achieved more in Europe? I think there are both political structural barriers, and also some cultural barriers to being able to sort of unleash the potential of Europe. First, political, I think it’s far too difficult to be an entrepreneur, there’s too much friction from the bureaucrats in white shirts, red ties and pinstripe suits who have never worked in the private sector, making it too difficult to start a business, grow a business — it’s far too heavily regulated. The second thing I would say is the big barrier is cultural. I won’t say this is universally the case with Europe, but I think that in much of Europe we over punish failure — we treat misdemeanours like felonies, so that if you fail, you’ve disgraced yourself, you’ve disgraced your family, it’s far harder to get a job. So I think that creates a level of risk aversion, even among young Europeans, that doesn’t exist in the United States, where there is just a willingness to make mistakes of commission rather than omission in the US. If you have tried to be an entrepreneur, you’ve been a part of a venture that failed, it’s really not a black mark on you at all. The cultural stigma that exists through much of Europe around failure presents a distinct cultural problem. I will say though that the most recent data shows that the place on Earth with the second highest number of billion-dollar start-ups on a per capita basis, is Stockholm, Sweden. What do you think the role of politics and public policy is in shaping technology for public benefit, particularly given the dominance of the environment by a small number of very large US-based tech companies in the Valley? I do think that too much time is spent obsessing about a small number of American companies, and I think that time would be much better spent figuring out, from a policy maker’s standpoint, what can be done to enable the creation of competitors to these companies? There was an issue of Time magazine from even 1999 or 2000, and on the cover it said, ‘The final battle for the internet’, and it was AOL vs Microsoft. I think that people who think that the final battle for the internet today is Google vs Apple or Facebook vs this one, I don’t buy that at all. Companies will rise and fall and we don’t need to think of any of these companies as being monopolistic, because if you don’t want to use Google then you can use Bing, nobody’s forcing anybody to use Facebook, nobody’s forcing anybody to use these tools. So from a policy-maker’s standpoint I would reorient your thinking away from, ‘How do we deal with these big companies?’, and more towards, ‘How do we help support the development of some of our own companies?’. Technology for the public good… I’m not entirely sure I know what technology for the public good is. What I would think about is thinking about the assets that government does have in terms of its data, and I think the thing that government can perhaps most do to enable technology in the public good, is to look at its reservoir of data and figure out how to open it up, make it machine-readable, and allow entrepreneurs to figure out how to use it in the public interest. In your viewpoint of the future industries, would the fundamentals of finance maybe fix or shift somehow, and would inequality be better? I think that the first thing we need to recognise is we live in a world that has simultaneously more bounty and more spread. Bounty is not just household income — it is wellbeing, it’s access to more information, more and better entertainment, longer lives. It’s having more stuff, and it can’t just be measured in economic terms. [Everyone is] taking more photos than you ever have before, [but] the billion-dollar sale of Instagram which enables so much of that, had 16 employees. The same month that Instagram was sold to Facebook, Eastman Kodak went bankrupt. At its peak, Eastman Kodak [had] 130,000 [employees]. So we all have more stuff, but the economic value of that is accruing to fewer and fewer people. So the first thing I would do is I would reject the idea that wellbeing can be measured exclusively in economic terms. So when I was growing up in the 1970s, only rich people had colour TVs. Now, people with relatively low incomes have flat-screen colour TVs with 200 channels on it, even though their income levels may have remained constant. So we have to be mindful of what we’re measuring. Having said that, we do live in a world of increasing inequality. What do we have to do in a world of increasing inequality? If the trends towards inequality are going to decrease, where we’re creating more billionaires who start companies with a few dozen employees but are suddenly worth billions of dollars, and the people who would’ve once worked at Eastman Kodak or at the film-developing store, are displaced… I think we have to strengthen the safety net. So I think that in a world of more and more super-wealthy and more and more tensions on the working class, I don’t understand how that is sustainable, but for significant investments in raising the safety net and strengthening the safety net, and the economic burden for that, I think, would have to come from sort of the new plutocracy. I actually think that most of the people from the new plutocracy would not actually disagree with that. If we could fast-forward 30 years from now, what do you think would be the most surprising or unexpected thing would be about the outside world? What I think is that certain things that we think of as scarce goods will be abundant goods. Things like bandwidth, we won’t be mindful of bandwidth — bandwidth, for example, will be everywhere. I do think that we won’t be driving cars in 30 years. I think that synthetic biology is one thing [that] I don’t think is going to make enormous changes in the next 10 years but could over 10–30 years, which goes to what we eat, where we get transplanted organs from and things like this. So I think synthetic biology is something that’s fascinating looking 10–30 years out. As we think about labour substitution, and as we think about artificial intelligence doing work that was once merely manual and routine, increasingly doing work that is cognitive and non-routine, there’s no evidence that artificial intelligence will replace creatives. In fact, I think there will be a new premium placed on people with creative skills — design skills, artistic skills and other such things. When you think about what skills and attributes are necessary for people to be the leaders of tomorrow’s industries, people tend to obsess on STEM — science, technology, engineering and mathematics. I think that’s reasonable, but I actually think the leaders of tomorrow’s industries are going to be people who are able to combine some measure of a technical education with skills and attributes that are traditionally domiciled with the arts and humanities. Let’s take Facebook for example, everybody thinks that Facebook is the by-product of a really smart computer science student from Harvard. I actually think that [the reason] Facebook is the success that it is, has as much to do with Mark Zuckerberg’s expertise and behavioural psychology as it does in computer science. In addition to his just being able to programme things, what he was actually able to do is understand to a greater degree than people at Friendster or Myspace, how people relate to the content — what the incentives are in human behaviour, the relationship between design, action and commerce. So I think the blending of arts, culture and design with science and technology is going to produce great businesses and great leaders of the future. So I’m actually very bullish on this. If you were to call in to see the prime minister tomorrow, what are the three things that you would tell Britain to do that it’s currently not doing? The first thing is focusing in earnest on the working class — the most difficult-to-reach populations — and ruthlessly reorienting the delivery of education, within the communities where we know the most vulnerable people are, toward those skill sets that we know will be more durable, in a world increasingly shaped by artificial intelligence and robotics. The second thing I would say is, looking at emigration policies, I think it’s increasingly the case that — especially with people benefiting from connectivity — entrepreneurs can come from anywhere. And if part of what you’re trying to do is make, say, London a global hub for the industries of the future, these aren’t necessarily going to just be people who go to Eton and Oxford. They’re going to be people who come from all over the globe. What you have to do, especially in environments like the United States where we’re growing more and more antagonistic towards immigrants, is figure out how to make the United Kingdom a home to people who want to build the industries of the future. The third thing I would say is my assistant did me the disservice of summing up my travel over the last few years researching this book, and it was the equivalent of 25 circumferences of the globe or two round trips to the moon, with a side trip to New Zealand. These travels have made me a feminist. I’ve come to believe, with a very strong conviction, that those states and societies that do the most to systematically advantage women’s places in the economy and in business, will be those that compete and succeed most effectively in the industries of the future. There was a study that came out two weeks ago from a centre-right think tank that has absolutely no sort of prejudice that is pro-women necessarily. The Peterson Institute of Economics came out with a brilliant study that looked at over 21,000 firms and found a correlation between women and executive ranks and profits. So I was glad to see some real data produced here. So the third thing I would do is say that I’m struck, the more that I travel, with how much gender bias there is — overt and under realised. I think the more systematically you remove the bias in society and in firms — take issues of fairness out of it — I think you will create more economic wellbeing. 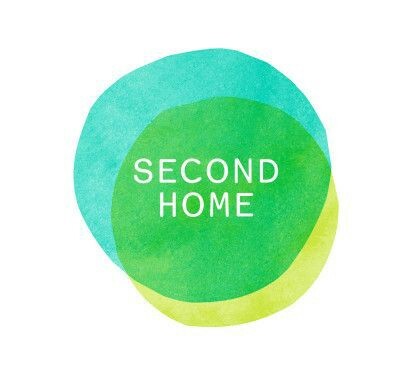 Second Home is a cultural venue and workspace that brings together thinkers, makers, artists and entrepreneurs.